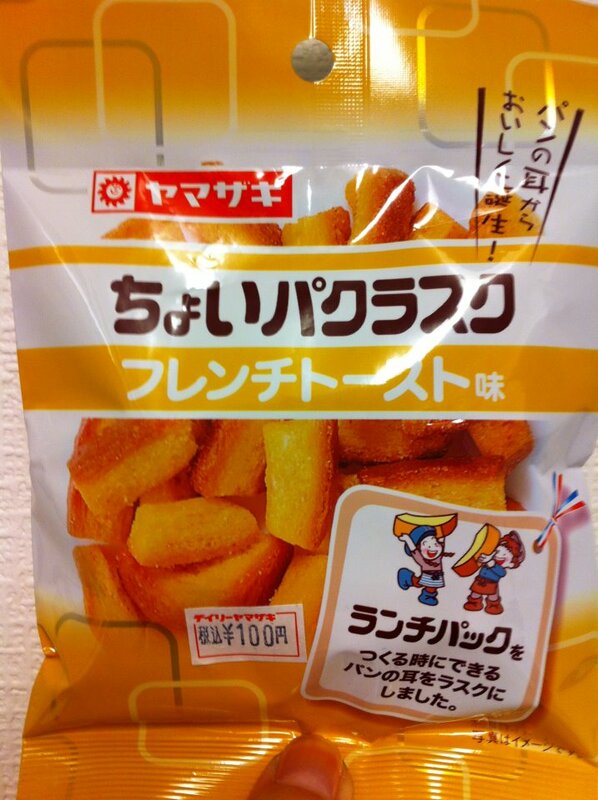 Choi Paku Rusk "French Toast Flavor"
This rusk is made from the crust of lunch pack bread. So, it's like a recycle snack. It was crispy and butter smelled really good. Even thou it was only 100 yen, it had nice butter flavor and just right amount of sweetness. About 50g (1 lbs.) and this could be a light snack. I'm waiting for some other flavors come out!